British naval officer, won fame as a leading naval commander before his death at the Battle of Trafalgar made him one of Britains greatest national heroes. His title in full was Vice Admiral of the White Horatio Nelson, 1st Viscount Nelson of the Nile, Baron Nelson of the Nile, K.B.. In addition to these British titles he was also Duke of Bronte in the nobility of the Kingdom of the Two Sicilies, Knight of the Grand Cross of the Order of St. Ferdinand and of Merit, and a Knight of the Ottoman Empires Order of the Crescent. 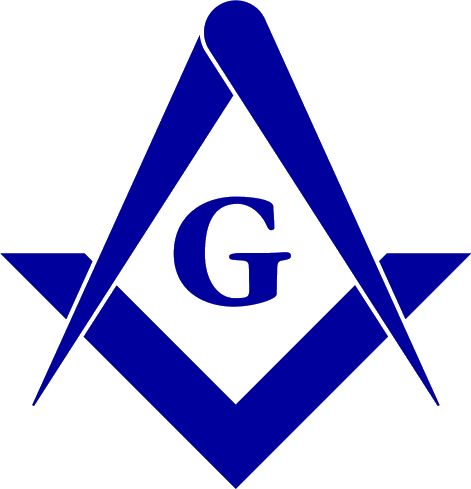 "A writer in the Freemasons' Quarterly Review in 1839 claimed Nelson and his servant, Tom Allen, were Freemasons, but gives no evidence to support his claim. Hamon Le Strange, in his History of Freemasonry in Norfolk, says that among the furniture of the Lodge of Friendship No. 100, at Yarmouth, there is a stone bearing an inscription to Nelson. On one side of the stone is an inscription commemorating the foundation of the Lodge of United Friends No. 564 on Aug. 11, 1697, and on the other side the inscription: "In Memory of Bro. V. Nelson of the Nile, and of Burnham Thorpe, in Norfolk, who lost his life in the army of Victory, in an engagement with þe Combin'd Fleets of France and Spain, off Cape Trafalgar, Oct. 21, 1805. Proposed by Bro. John Cutlove." At the Masonic Hall, Reading, may be seen a framed print with a representation of a banner carried at Lord Nelsons funeral. It bears the following words: "We rejoice with our Country but mourn our Brother." It was carried at the funeral by York Lodge No. 256." 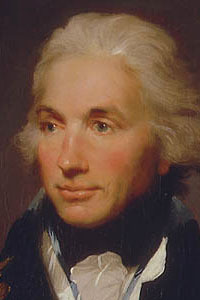 A thorough review of the registers of the two Grand Lodges in existence prior to the union and the rolls of Norfolk lodges by Henry Sadler reveal no record of Nelson's membership. Source: William R. Denslow, 10,000 Famous Freemasons. pp. 258-59. Note the lodge number is incorrect and is properly 236. Portrait : National Maritime Museum, Greenwich. Also see: John Webb, Horation Admiral Lord Nelson, Was He a ... Mason?. Hersham : Ian Allan Lewis Masonic, 1998. pp. 35-39.